Looking for the right website designer to design your website can be a daunting task. 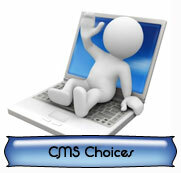 There are so many different web designers and different prices for web design. Like any modern shopper you jump onto Google and start searching and researching website design costs. Cheaper is always better isn't it? Not when it comes to designing a website and here's why. Say for instance you decide you only really need a 3 page website with a Home page, a product/services page and a contact us page. Smaller = cheaper and say you find a web designer that only charges $495. Have you just found a bargain? Considering say someone you know just spent $5000 on their website. You then proceed to brag to your mates how cheap your website was, only 1/10th of the price of their website. But who really got the best deal in the end? Small websites don't rank well in Google compared to larger websites. Feeling pretty chuffed with your decision you jump onto Google and type in the keywords to find your website. Wait a minute, where is it in Google? If you can't find your website in Google then just how much of a bargain was that $495 website? On the other hand your mates $5000 large website ranks on the 1st page of Google and is getting regular visits and subsequent business. Meanwhile your website is just not getting any traffic because its buried many pages back into Google. Think about your own browsing habits. How often do you venture past the 1st page of Google to find what you are looking for? I know myself I rarely ever click onto the second page of Google search results. How about you? That $495 bargain website is now looking like a complete dud because if you aren't getting any business leads from your website then its completely useless. Meanwhile your mates $5000 website is generating a lot of business by being on the 1st page of Google search results and the return on investment makes the $5000 website look like a cheap investment. The old adage of cheaper isn't always better certainly does apply to website design. Do you stray from Google?